Mr. Harshal Shah is the CEO and founder of Elsner Technologies Pvt. Ltd. He is the main pillar on which the entire foundation of our organisation rests. He is a prolific learner and a tech-buff. His vision is to create the world a better place to live with the help of state-of-the-art IT technologies. In fact, the perspective behind starting this ingenious venture was to provide a platform to the best talents in our country so that they could showcase their hidden talents and deliver amazingly creative IT solutions. 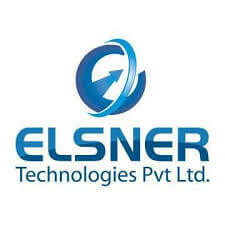 Elsner Technologies Pvt. Ltd. is an indisputable leader when it comes to providing web development and design services to a wide array of reputed clients.  The company is based in the United Kingdom, Australia, Switzerland, the United States, and India. Since its inception, the company has set its vision on delivering high levels of precision IT solutions for start-ups and established businesses. 2018 was an amazing year for Elsner Technologies Pvt. Ltd. By the end of the year, we were able to achieve sensational benchmarks for various projects. Our client retention rate increased from 80% in the year 2017 to 90% in the year 2018. The staggering truth is, we were able to add more than 80 new clients on board by the end of the year. In addition to this, we added four new business partners in our journey: two are based in the US while one each is in London and Sydney. The cherry on the cake was when we bagged Drupal certification which has given new wings to our ever-increasing ambitions. Our company got registered in Australia and it had a great first year. Eventually, we were able to increase our talented employee strength by 40% which was one of the visions when the company was started. We follow a very transparent process while dealing with our clients. The process starts when the client approaches us with their project requirements. Our business development team understands their business objective and keeping that in mind develops a project scope document highlighting the resources, time, and amount of money that will need to be spent for its realisation. Once that has been mutually agreed upon, our business development team heads on the information to the design team that works on creating case structures for showing the blueprints to the development team. The development team understands the scope of the project through the blueprint and starts envisaging a creative output. Once the final product has been developed it is passed on the Quality Control (QA) department for determining the bugs. Once the bugs have been resolved it is shown to the client as a demo. Once the client approves it gets moved from the testing phase to the actual launch of the product in the market. Note: During each of these stages, the client is constantly in touch with our business development team and receives heads-on information pertaining to the status of their project. We offer three different engagement models for our esteemed clients. They are: Time and Material, Fixed cost, and Dedicated Resource. The first engagement model which is based on time and material is appropriate for clients who have not made up their mind about the scope of work. It is for those who want to gain full access to the development team and wish to work on an hourly rate basis. The fixed cost model is appropriate for those clients who have a defined scope of work with a specified deadline requiring little scope of management by the team. The dedicated resource model is for those clients who want to use our development team as their employees and use them as a dedicated resource. Each of the three engagement models provide distinct advantages to the clients. As a dynamic leader, I want to use them both in a sparing way so that my organisation can benefit from the best of both worlds. The very first thing that I ensure is that the technology used by my development team is up to date and ingenious by nature. I also feel that there is a need to put in lots of effort for vertical expansion i.e. ; adding new product lines to our existing IT services. This can be done by focusing on the future and keeping the ever-increasing demands of our existing clients into consideration. As far as the horizontal expansion is considered, I see that happening from my employees. I believe each and every individual has some good qualities that need to be promoted. If every employee in my organisation can build on my vision chances are we might cater to an altogether new product line in the near future. You never know where the future will take us. I am keeping my fingers crossed for that day when my employees are able to come up with their own innovative solutions irrespective of whether it is in the core IT domain or non-IT. The ultimate objective is to ensure that we are able to build a new world where our developed things can make it a better place to live. Once that is achieved, believe me, our organisation will definitely reach to the next level and I am simply waiting for that day to happen! IT is a field that can never become stagnant. The problem is, if you are not keeping pace with it chances are the organisation will not grow. Here, at Elsner, I love talking about IT solutions. But when it comes to latest technologies I am quite impressed with the impact created by state-of-the-art technologies like data analytics and Blockchain. I am impressed by data analytics because data is the future of the IT domain. Everywhere you look around people are talking about how data can drive home the advantage for an organisation. In the near future, we will see new technologies coming up that will make it easier to scrutinise data. I want to be a pioneer in that respect and create a modern device that can assist businesses across the globe to decipher this critical information in a systematic manner. This is the one thing that will drive me to create an amazing future for my organisation. Apart from this, Blockchain technology is in the frenzy nowadays. Everyone is going gaga over how Blockchain technology and crypto currency like Bitcoin has evolved in the modern world. You can see for yourself the kind of impact it is having on the overall mindset of people across the globe. I want to use as an advantage and create something out-of-the-box that can pave the way to the next big thing in the market when it comes to crypto-currency. Wouldn’t it be great if we are able to entirely go cashless and create a world where everything is dealt with the ease of a fingertip? I am longing for that future world! Both React and Node are amazing technologies and there is no doubt about that. But, I am more inclined towards agile methodology and wish that my development team follows that path. There is a reason for it. We are living in a world where things are perpetually evolving. Change is the only constant which brings me to the topic of technology. React and Node can both be highly useful for both web applications and mobile apps but are we only covering these two technologies? We can very well see there are lots of different technologies that are coming up as the days are evolving. I believe it is important to keep a tap on the latest technologies and integrate them in the working mechanism of development so that it is possible for at least my organisation to be one step ahead of other competitors. I believe technical expertise is very important to survive in today’s IT field. But only technical prowess will not take an organisation higher. I am a firm believer of the fact that an organisation should not rest its laurel on only the technical aspect. There is still a bigger picture that needs to be seen. Things like honesty, integrity, and value-addition are extremely critical in the IT industry. Due to the ever-changing dynamics in this field, it becomes important to recruit only those talented set of people who have the acumen of raising their bar when it comes to their performance level. This is what our clients expect. Nothing but the best. We achieve that by inculcating values like being honest during client communication, valuing their time and resources, committing yourself to their deadlines, and ensuring that till the time they are not satisfied with your work do not put the hands on the paddle. Strive for the best and take the organisation to the next level of success. This is the perfect recipe for success for an IT company and the vision that I strongly believe in. Nothing less can work for me and it will neither for my clients! Research agencies like ITFirms are doing a great job of spreading a word about organisations that are doing a fantastic job in their respective fields. Such agencies are a boon in this business world as it gives us a platform to showcase our ability and create a unique identity in the minds of our target audience. It brings organisations like us up close with our clients. Please continue doing the fantastic work and help organisations achieve the pinnacle of success!